An innovative Bristol firm which has developed a range of aeroponic technology for indoor farms has announced it has secured £1 million in funding to build world-leading indoor growing facilities. This is alongside a further €100,000 from the Green Challenge and several additional research grants. 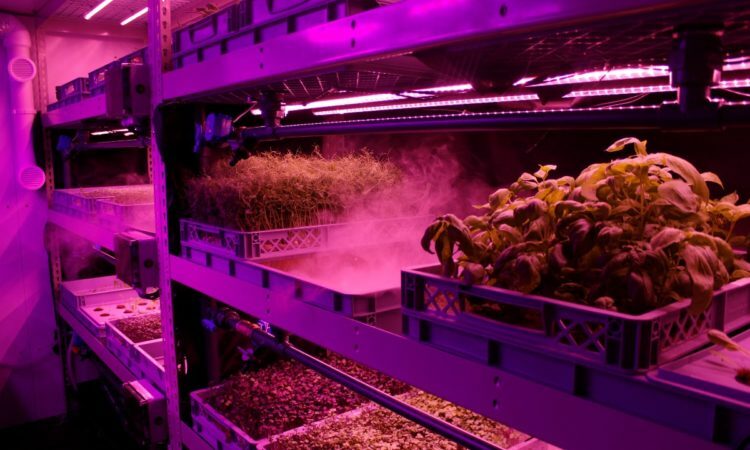 As part of the project, LettUs Grow will work alongside ECH Engineering, industry leaders in controlled environment technology, and urban agriculture experts from Grow Bristol. The grants came hot on the heels of the disruptive startup’s most recent investment round, where they raised £460,000 from ClearlySo, Bethnal Green Ventures, the University of Bristol Enterprise Fund II, managed by Parkwalk Advisors, and angel investors. By 2050, it’s expected that humanity will need to increase food production by 70% to feed over nine billion people. Existing methods of agriculture will not be enough to feed this burgeoning global population. LettUs Grow has designed a patent-pending aeroponic system that has shown growth rate increases of over 70% compared to existing solutions for leafy greens, salads and herb production. Charlie Guy, co-founder and managing director said: “This injection of private and public funding into the company enables us to accelerate our innovative products to market and build one of the most technically advanced facilities for indoor growing in the world. The global agri-tech industry is very exciting right now, all stemming from the necessity to improve the economic and environmental sustainability of food production. Matias Wibowo, investment manager at ClearlySo: “Innovation is critical to ensuring long-term food security and sustainability. “Our investors see the value, both in terms of financial and environmental returns from tackling this systemic global problem. That’s why they got involved in LettUs Grow.